Of these, the latest addition is a foreign translated novel – Babylon Berlin by Volker Kutschner, translated by Niall Seller and sent to me by Allen and Unwin to review. It is the first in a crime series by a German author, set during the dying years of the Weimar Republic in the inter-war period, when the world is inching towards the Great Depression. It centres around Detective Gereon Rath, and the crimes he solves, and the things that he overlooks, the various underworld activities that are accepted in dark corners, but not always out in the open. I did like the idea behind this, and the historical backdrop, however, as stated in my review, I felt some things dragged on a bit, making these sections a tad slow but the fast-paced sections were what really drove the novel and gave it the oomph that it needed. 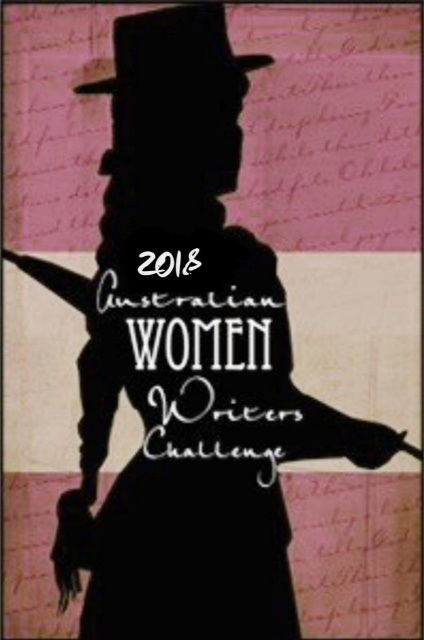 I have five other squares to include – I am aiming to fill them with whatever works, and some will be Australian Women Writers, others won’t, it simply depends on where the books fit. First, is a novel with a yellow cover – Tin Man by Sarah Winman. It is the story of two gay men, whose first encounter has them ripped apart but then drawn back together as friends, with Annie, the wife of Ellis, one of the main characters. It is a touching story of the various ways we express our love, and to whom we choose to express that love. With a touch of realism about it, it touches on fears as well as love. My memoir square has been filled by Skin in the Game: The Pleasure and Pain of Telling True Stories by Sonia Voumard. In a series of essays, Sonia tells her story about being a journalist, and the daughter of a World War Two refugee – her mother, with humour and frankness, and an honesty that shines a light on some of the challenges faced by journalists behind the scenes of stories, interviews and publications, and how they try to overcome these under increasing pressure of a 24 hour news cycle, where the demand for facts and results at all times seems to be a struggle to keep up with. It is insightful and gives a new appreciation for what journalists do and at times go through for me. The book taking up the square of a funny novel has not been published yet, so the longer review will be linked here when it goes live. Grandpa, Me and Poetry by Sally Morgan, and published by Scholastic. It is the story of Melly, who loves poetry and her Grandpa. When given the chance to explore her two loves, she jumps at it, and through a series of amusing scenes with funny rhymes, she finds a way to write a wonderful poem for Family Day. Spinning Tops and Gum Drops: A Portrait of Colonial Childhood fills the non-fiction square. Using images and statements, and other stories from the time, Edwin Barnard has created a window into a world where the realities of childhood were vastly different to those for today’s children. It tells of a time when threats from illness and bushrangers were ever present, where children had to work as well as go to school, and in some cases, instead of going to school. It is interesting and gives a window into colonial life beyond text on a page. Look out for my next Book Bingo in a few weeks time! Thank you!! The squares left might not be as easy to fill, depends what books I read. You’ve managed to fill some of the trickier ones early though…but like you, I am fitting what I’ve read in rather than the other way around. Thank you 🙂 It’ll be more about finding the books than anything, but I probably have something to fill most. I probably have some that could fit into more than one square too.